Missouri Pacific President L. W. Baldwin wanted a symbol that represented "Speed and bright moderness" ... thus the Eagles were born. 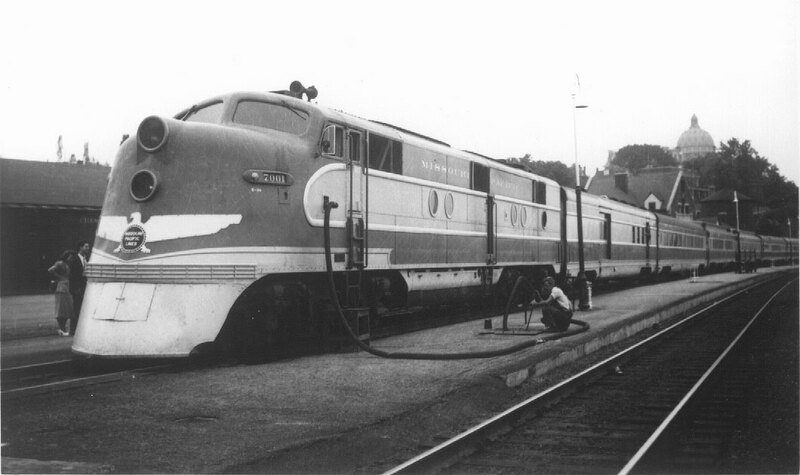 With the dawn of the Eagles, a $1.25 million E-3 streamliner pair, the Missouri Pacific inaugurated its' dieselization by provided the latest in passenger service between St. Louis, Kansas City, Missouri and Omaha, Nebraska. 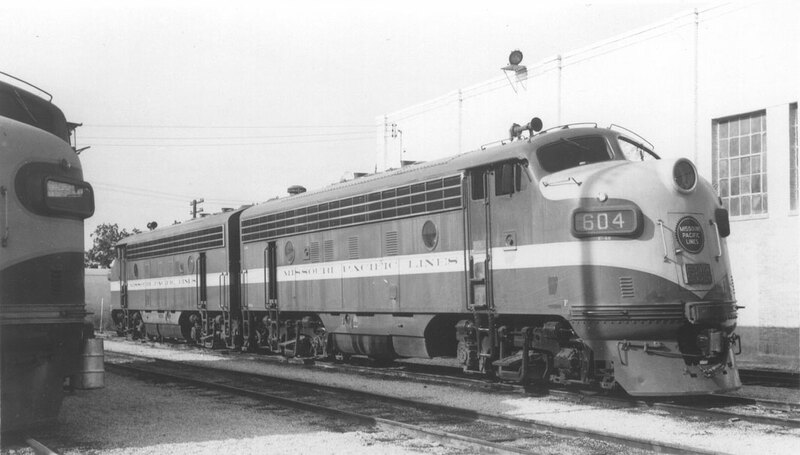 The style of the new Eagle Streamliners was the creation of Raymond Loewy (who went on the to work on such projects as NASA's Skylab, no less). 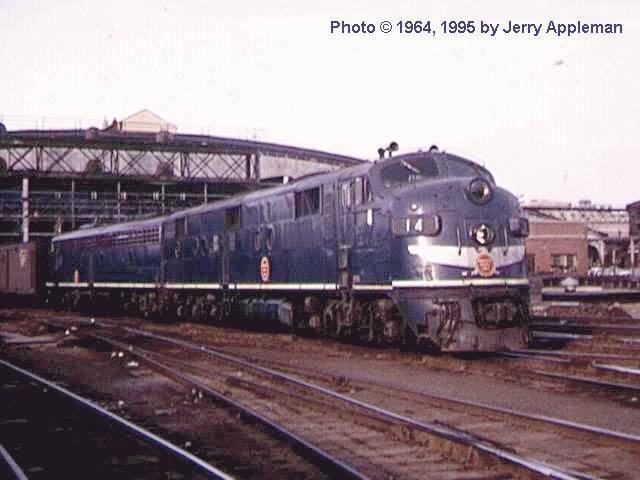 The focal point on the shimmery blue exterior was the stylized spread eagle of brushed aluminum, with a crimson MP buzzsaw emblem proudly displayed, applied to the slant nose of the new streamliners and the tail of the observation cars. The look of these new units and their passenger cars were striking. It heralded the "official" beginning of dieslization on the Missouri Pacific. Streamliners were some of the most fondly remembered equipment owned by railroads. 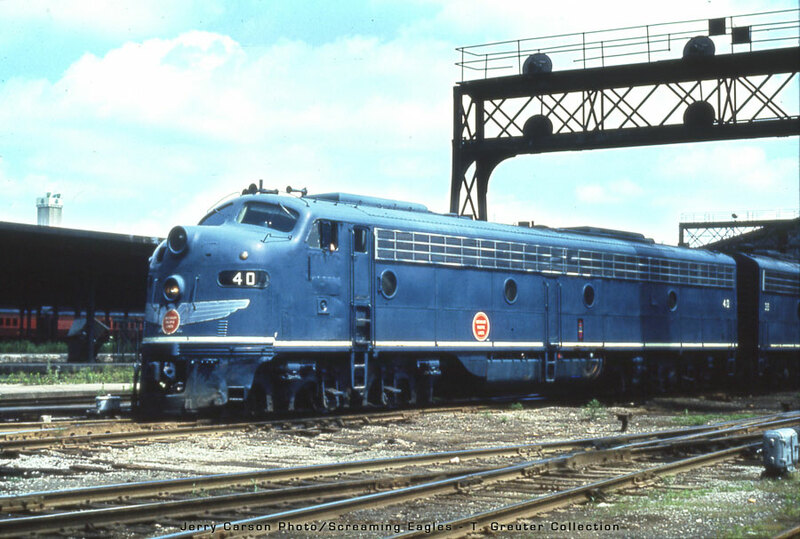 The Missouri Pacific operated a beautiful roster of blue and mist gray streamliners, beginning with the first Raymond Loewy designed Eagle. 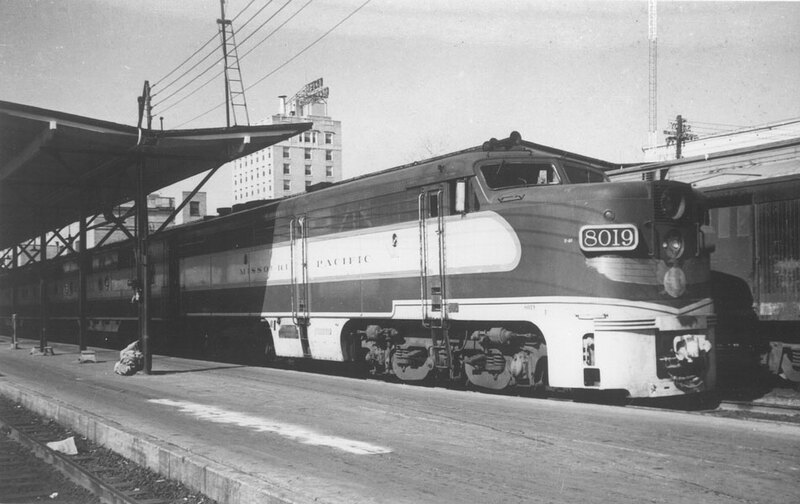 The six-car trainset lead by the E3 locomotives seemed to glide by on the inagural trip witnessed by admirers everywhere, and thus began the streamlined era on the MoPac system. Such names as the Colorado Eagle, the Texas Eagle, the Missouri River Eagle, the Aztec Eagle, the Valley Eagle, the Delta Eagle, the Louisiana Eagle, and even a "Pacific Eagle" conjure up vivid memories. With increased air travel and the growing highway system, economics would eventually force passenger service off the rails in America - and the MoPac was no different than other roads. By the late 1960's the MoPac's Eagle fleet eventually vanished into oblivion. The vibrant memories from the Route of the Eagles is all that we have left. 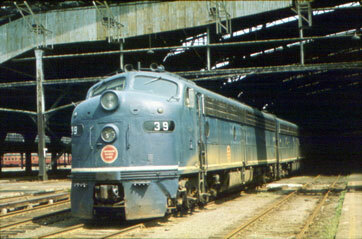 1939 marked the introduction of the first streamliners on the MP system. 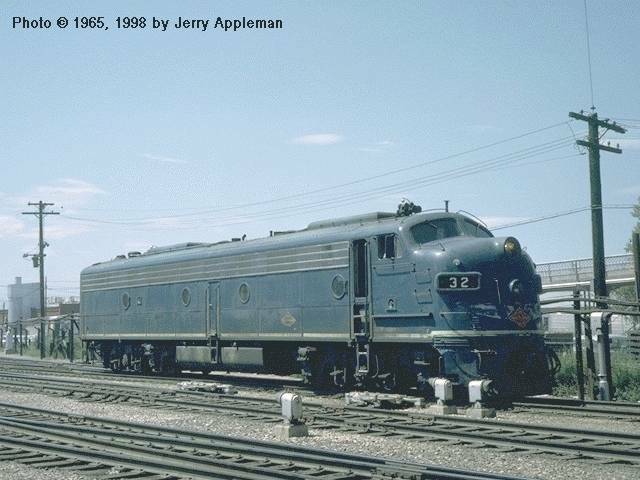 These included EMC/EMD-built E3, AA6, and E6 diesels, each painted in an all-new elaborate blue/gray design with yellow trim and a MPL stainless steel spread-eagle on the nose. These were part of the new "Route of the Eagles" passenger service, which in the foloowing years spread as far west as the Grand Canyon and California. 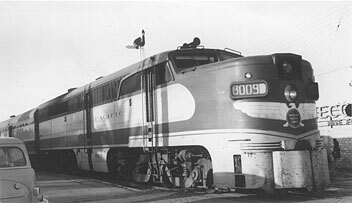 The Missouri River Eagle was inaugurated March 10, 1940 for the St. Louis-Kansas City-Omaha passenger service. 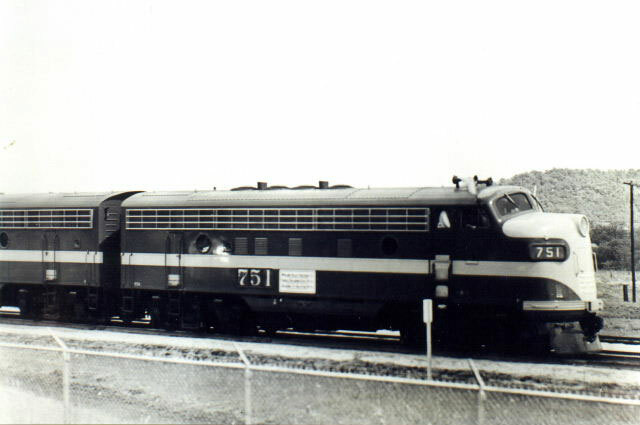 Two EMD E-3's, #7000 and 7001 were the units on the River Eagle's first run. 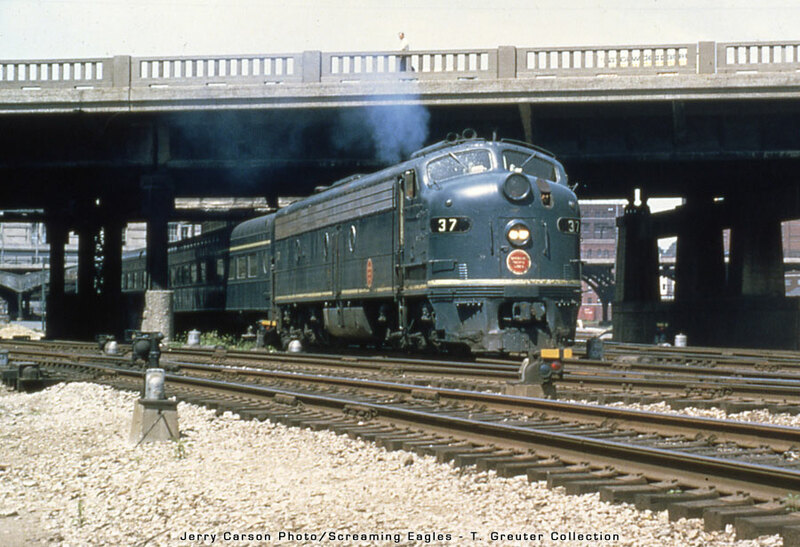 1940 was wartime - the streamlined EMD FT was delivered to MoPac in a slightly less elaborate paint scheme from her passenger-assigned sisters, and invaded the steam ranks as it went into freight service to help the war effort. 1947-51 saw the deliveries of the the Alco/GE PA-1, PA-2 and PA-3 (its been argued that the PA-3's were in fact modified PA-2's). From the first Eagle E-3 Streamliner in 1949 until the early 1960's, you could see PA's, F7's and FA's, RS3's and Geeps in MP's classic blue and gray paint scheme. Meanwhile, the diesel switchers were painted black with brushed aluminum lettering - just like the steam switchers they'd replaced. 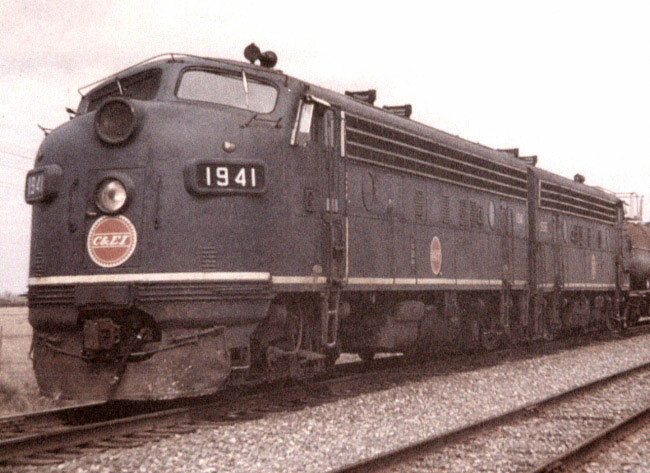 They wore this scheme from their introduction in 1939 until 1961, when all switchers, freight and passenger units began the conversion to the solid Jenk's Blue. 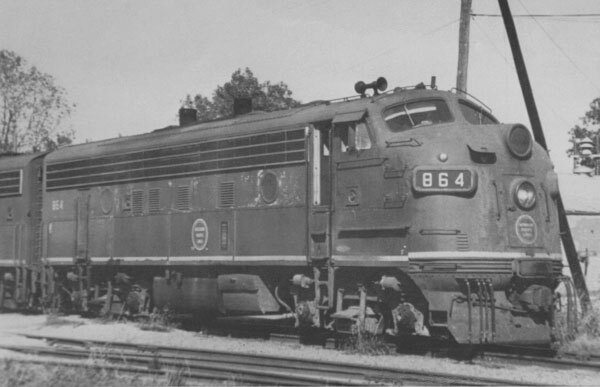 On ALCo PA's the design of the exhaust stack was affected by the addition of turbochargers. A similar detail difference applies to the ALCo RS units. 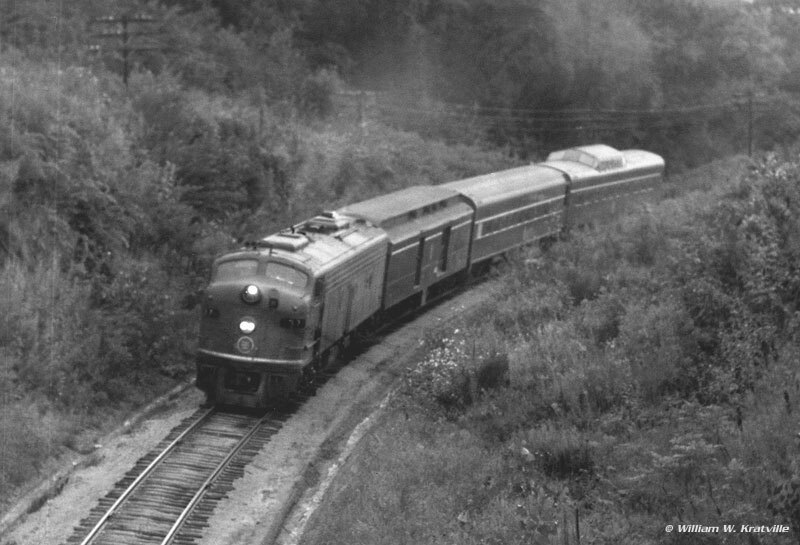 The Alco FA & FB were especially prevalent on the Omaha division. MoPac found their rapid acceleration and speed capabilities were right at home on the rail-center's endless up-and-down hill grades. By the close of World War II, MoPac had purchased 734 diesels and 115 B-units. The DR-4-4-1500's a.k.a. 'Babyfaces' along with the DRS-4-4-1500's all came with pneumatic MU control, which prooved to be a slight problem, as EMD & ALCo did not use this method, making it impossible for the different units to MU together. Due to this situation, all the AS-16s had the preferred "EMD" standard MU controls installed in later years. These tempermental machines were restricted to the Arkansas division in the mid-1950's, replacing the last steam engines on the MoPac. They were prone to breaking-down and were universally disliked by crews and the mechanical department alike. 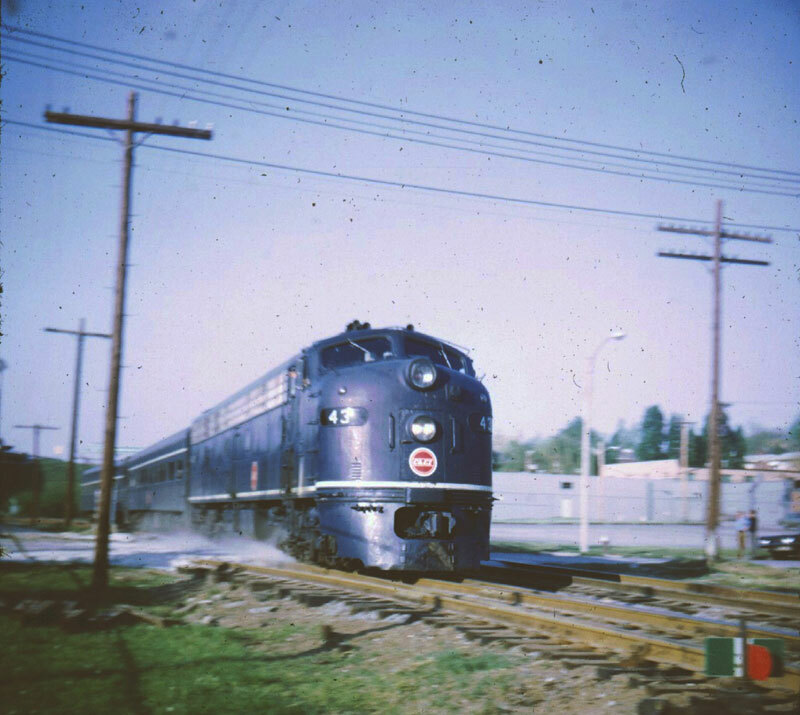 1947-51 also saw the deliveries of the EMD E7 and E8. 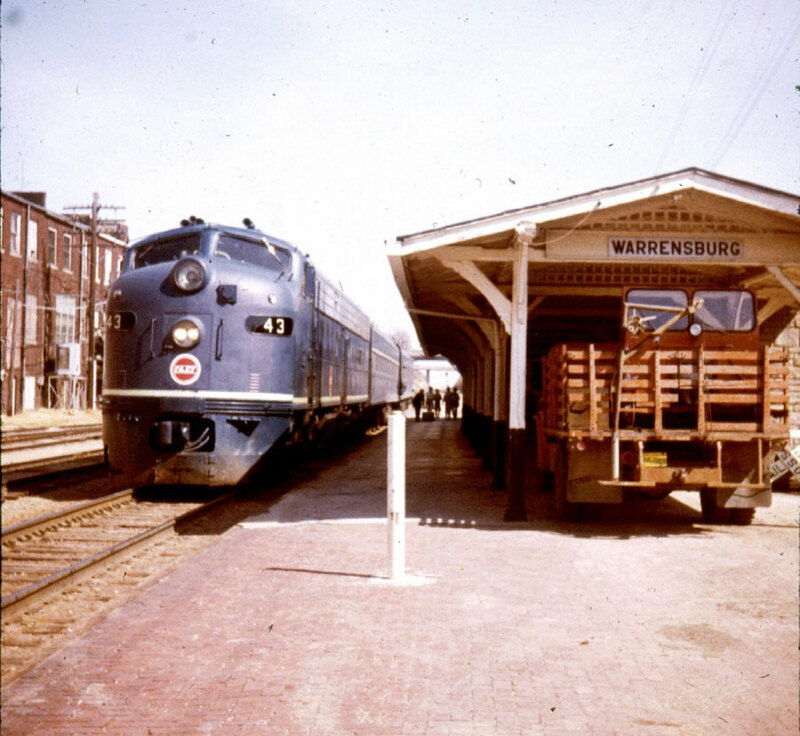 MP 14 - E7A on passenger at St. Louis, Missouri Union Station in March, 1964. 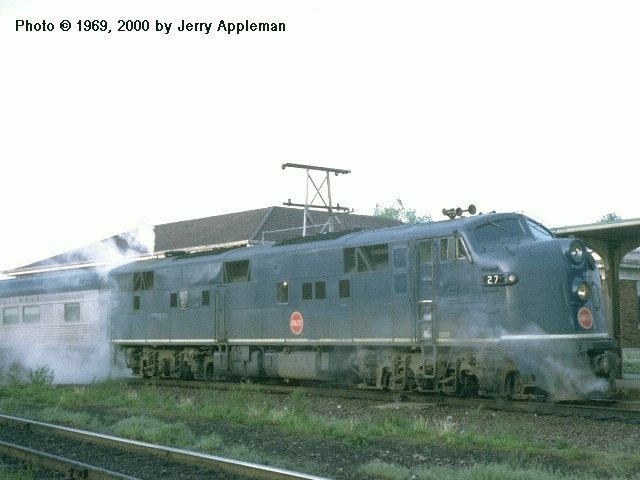 - photo © 1964, 1995 by Jerry Appleman-Jerry's Railroad PhotoAlbum. 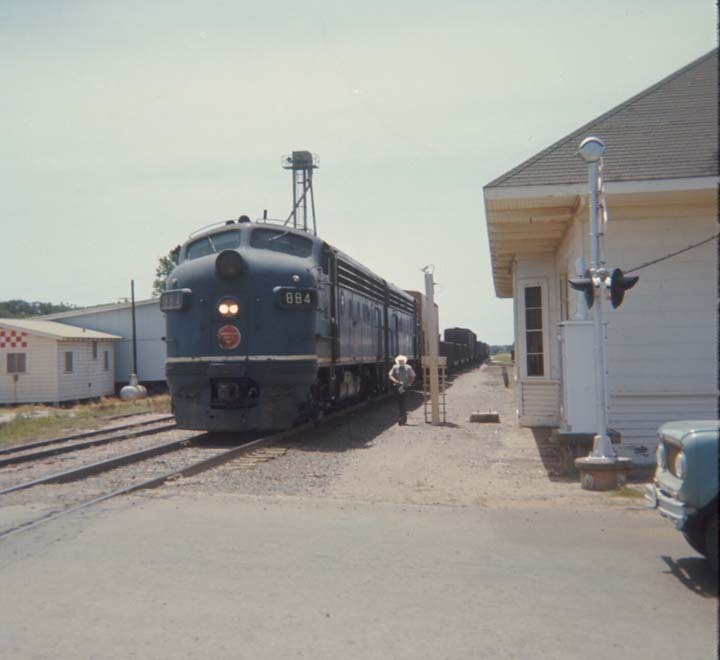 C&EI 27 - E7A on train #4, The Danville Flier at Danville, Illinois in May 11, 1969. - photo © 1969, 2000 by Jerry Appleman. C&EI E-unit #1941 - Photographer unknown / Jay Glenewinkel purchased photo collection. Built in April 1948 and September 1948, MoPac purchased eight BL2's, #4104-4111. 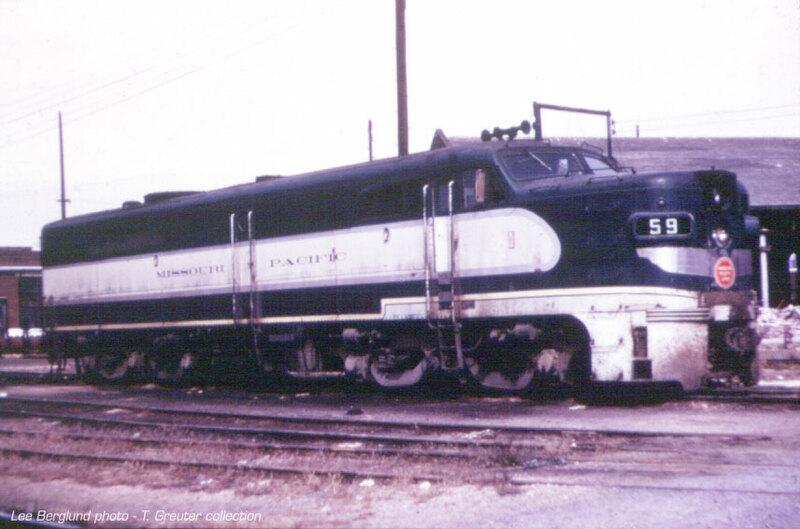 All were retired in 1962 and traded in for GP18's #534-549. These units never wore Jenks blue. 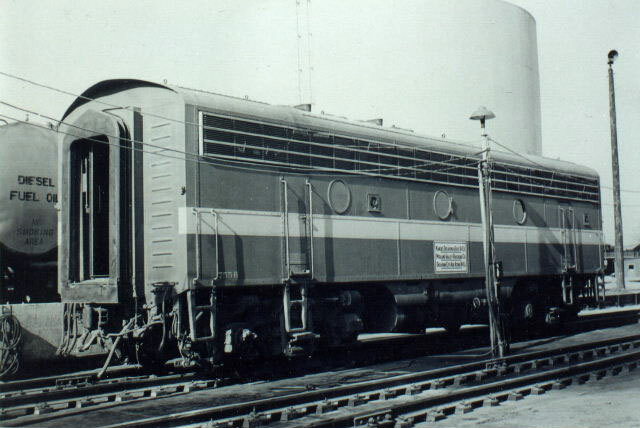 The BL2 was EMD's first attempt at the still new diesel roadswitcher concept, it's hybrid appearance (it was a precursor to the yet- to-come GP7) of a covered wagon with a nose walkway could be considered as something of a "streamlined roadswitcher." 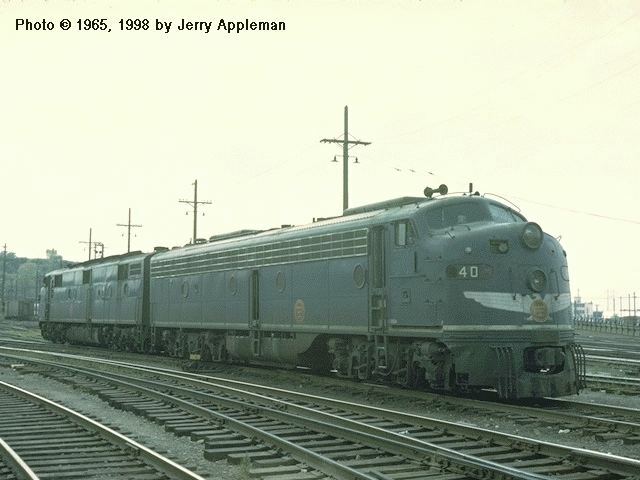 In 1947-51, large numbers of the EMD F3, F5, F7 and BL2, and the Alco/GE FA-1, FA-2, and FPA-2 being built for MP subsidiaries Texas & Pacific, International Great Northern, Kansas Okalhoma & Gulf, St. Louis, Brownsville & Mexico, as well as MP. F7's in Eagle paint had the air intake grills on the side left unpainted bare stainless steel. 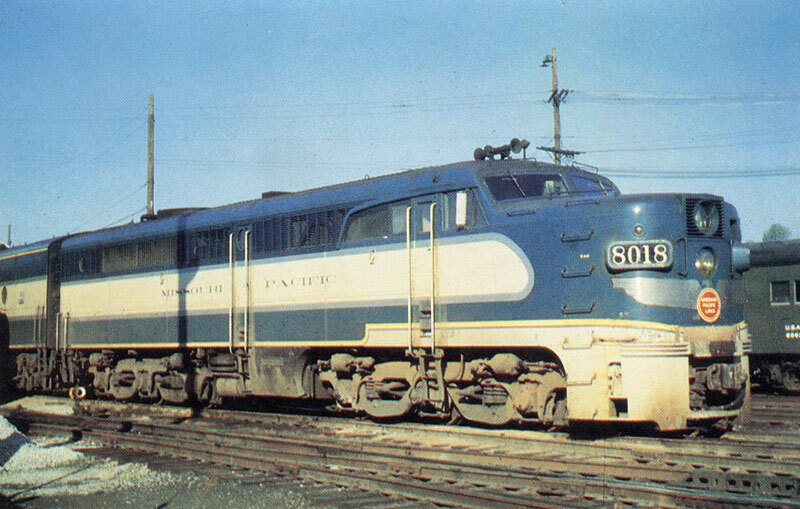 February 1948 - the Baldwin DS-4-4-1000 and DRS-4-4-1500 were built for MP. T&P 32 - an E8A powered light at Denver, Colorado's Union Station in August, 1965. - photo © 1965, 1998 by Jerry Appleman. 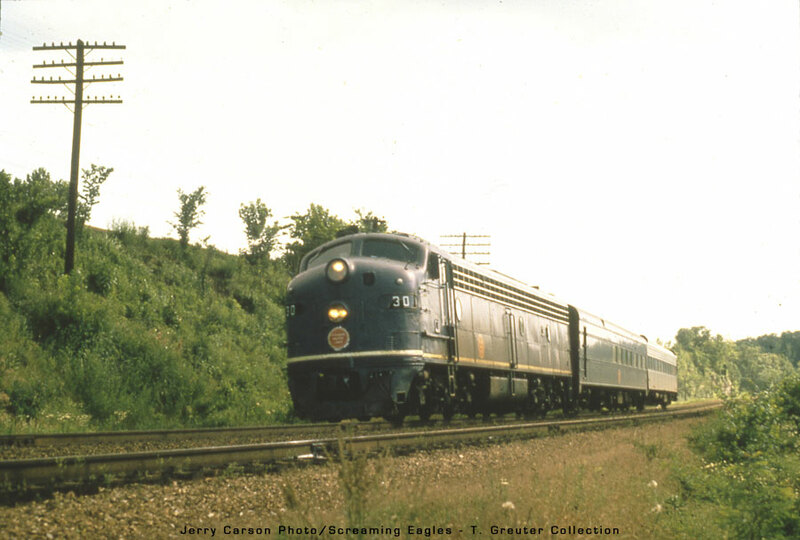 In Nebraska, from the Eaglette streamlined motorailer in the 50's to the final bus connection for Lincoln's passenger service in 1963, the Missouri River Eagle continued to stop at Union on it's St. Louis-Kansas City-Omaha run until September 1965 - E8A T&P-36 made the final run. 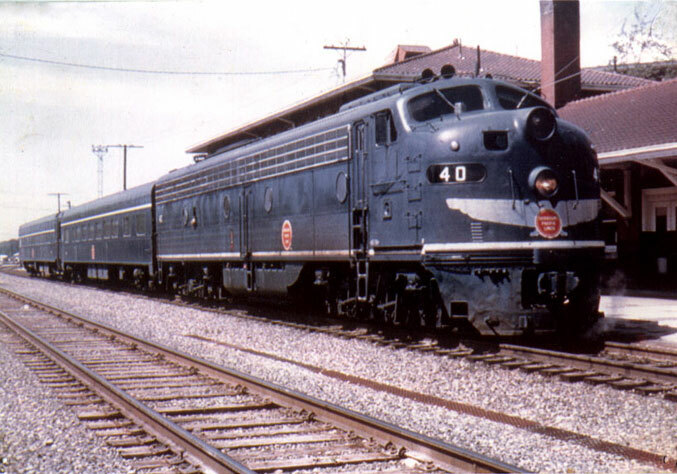 MP 40 - an E8A powered light at Kansas City, Missouri in August, 1965. - photo © 1965, 1998 by Jerry Appleman. 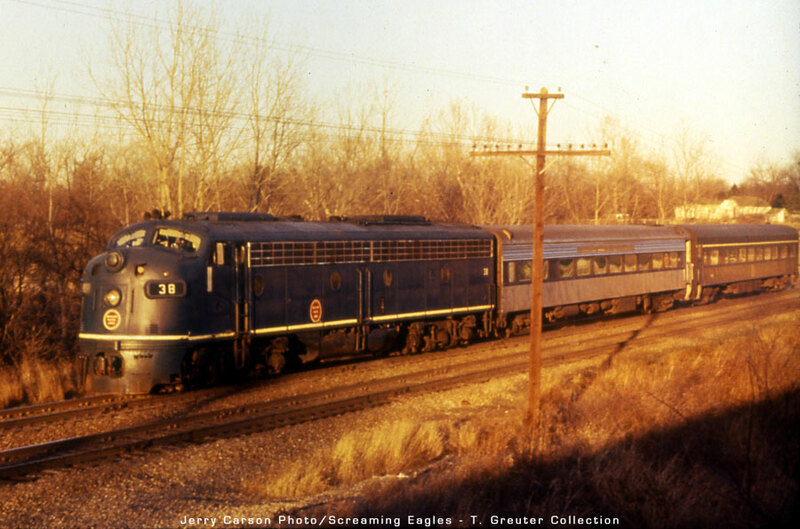 MP 41 - E8A on train #16, the Missouri River Eagle at Warrensburg, Missouri, February 14, 1970. - photo © 1970, 2001 by Jerry Appleman. 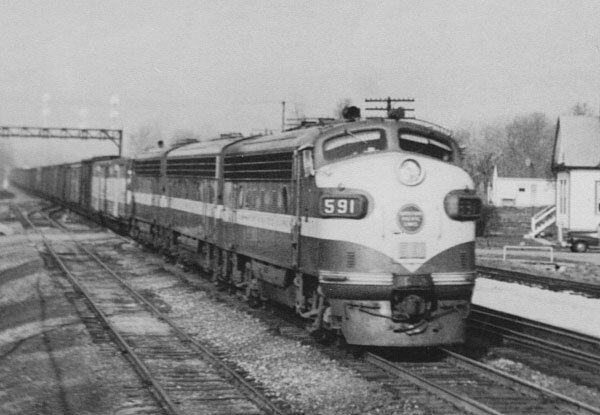 By the early 1970's, passenger service disappeared across the nation to be taken-over by Amtrak. MoPac's aging F7's, F8's and their B-units found a new if less glamorous life as they began filling-out freight-hauling rosters in their final days.